landscape architects should stop creating a middle landscape. Cities should remove their pointless expanses of tough low-maintenance shrubs. Ban the Berberis. Boycott the Laurel. Remove the Rugosas. Replace the splurges of shrubs which disfigure our roads and car parks with Fourth Nature planting. Biodiversity may be defined as ‘the totality of genes, species, and ecosystems of a region’. Scientists believe the rate of species loss to be greater now than at any time in human history. 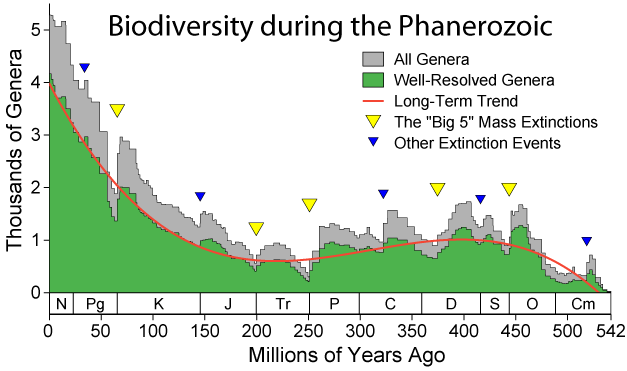 Species extinctions are occurring at several hunderd percent above background extinction rates. It is a tragedy. Landscape architects can make a small but important contribution to slowing our planet’s loss of biodiversity. As Ahern et all write: ‘If habitat loss is the leading cause of biodiversity decline, it follows that planning and design will be essential in any viable solution by directly conserving, protecting, or managing landscapes and habitats’. (Biodiversity Planning & Design: sustainable practices Jack Ahern, Elizabeth Leduc, & Mary Lee York Island Press 2006 p.3). Aesthetic appreciation of wild nature, and its incorporation in gardens, became common during the eighteenth century. Habitat creation by landscape architects for ecological reasons dates from the second half of the twenty-first century and can be viewed as the creation of a fourth nature. The World Wildlife Fund for Nature (WWF) is an international NGO concentrating on conservation the three most biodiverse biomes : forestry, freshwater ecoysytems and oceans and coasts, go to http://www.wwf.org/ (accessed 31/1/2013) for the international website which leads on to local websites. Every two years WWF publishes the Living Planet Report which reports on biodiversity and also on biocapacity and human ecological footprint. http://wwf.panda.org/about_our_earth/all_publications/living_planet_report/ (accessed 31.1.2013). WWF also promotes the One Planet Living project http://www.oneplanetliving.org/index.html (accessed 31.1.2013) which promotes ten sustainability principles. The International Union for the Conservation of Nature (IUCN) http://www.iucn.org/ (accessed 31.1.2013) offers conservation databases and action tools. Most countries have its own specialist agencies and NGOs as well, such as in Britain the government agency, Natural England http://www.naturalengland.org.uk/ (accessed 31/1/2013). In the States nature conservation tends to be state based so country-wide there is the Nature Conservancy http://www.nature.org/ (accessed 31/12/2013) which gives an overview.